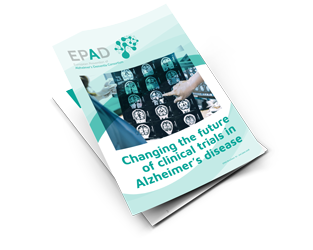 The European Prevention of Alzheimer’s Dementia initiative (EPAD) recruited its first Research Participant in May 2016 via the University of Edinburgh (UK). 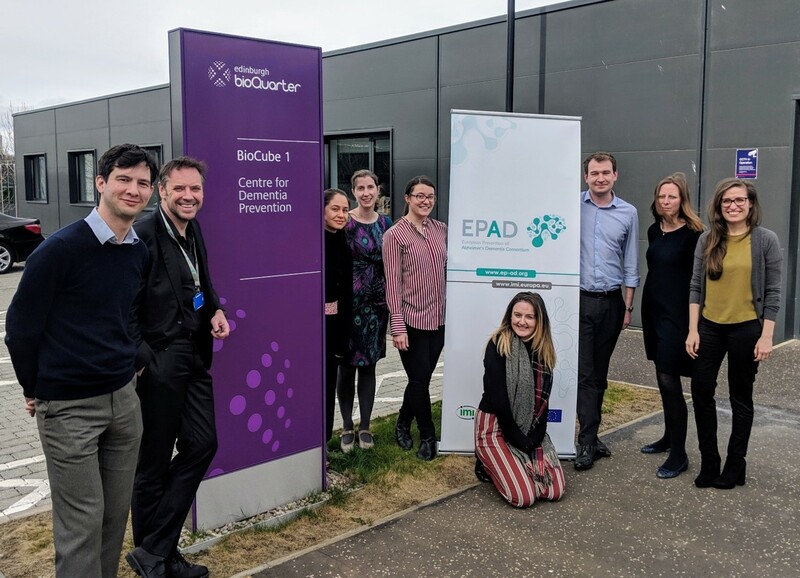 The team of Craig Ritchie (principal investigator of the EPAD project in the University of Edinburgh and EPAD Project Co-coordinator) has currently recruited over 100 participants in the EPAD Longitudinal Cohort Study (LCS). We caught up with his team and asked them a few questions about their best practices and recruitment strategies. Any top tips for running the LCS efficiently at your site? Here in Edinburgh we were the very first EPAD Trial Delivery Center (TDC) site to open which means we have participants reaching their 5th (Year 3) visit as well as continuing recruitment for new participants. The key to managing this is communication, between the site staff, our colleagues in other teams who support EPAD and our participants. We have weekly meetings between the coordinator, research assistants and study doctors to discuss all participants attending for visits in the upcoming week. These meetings ensure we know who will be seeing the participant, printing reports from bloods and MRIs that we need to confirm safety to complete lumbar punctures, and ensure we have everything we need to complete the visit successfully- including most importantly participant breakfast and lunch! We also have a monthly multi-disciplinary team meeting to catch up on how EPAD is going, focusing on recruitment, retention, data quality, monitoring and participant feedback. We keep in touch with our MRI, laboratory and lumbar puncture practitioners regularly by phone and email. When our participants first join EPAD we find out how they’d like us to communicate with them, phone, email or letter. We then book in upcoming visits far in advance as we know our participants and study partners lead busy lives. This also helps us to know capacity at site each month so we can book in new participants to join the study. We also organise a participant facing newsletter which includes information on latest EPAD news as well as explaining why we do certain procedures such as the MRI and the lumbar puncture. These newsletters now go to all Scottish TDCs to send on to their enrolled participants. How are you able to find suitable subjects for the cohort? We have a diverse recruitment strategy at our site to maximise our ability to identify participants most likely to be suitable to join the proof-of-concept studies coming in 2020. When the site first opened in May 2016 we recruited from our two large parent cohorts, PREVENT Dementia and Generation Scotland. This was a great way to start the recruitment and we successfully recruited over 60 participants from these routes. We continue to recruit from Generation Scotland but our numbers from this route have now reduced to one or two a month. 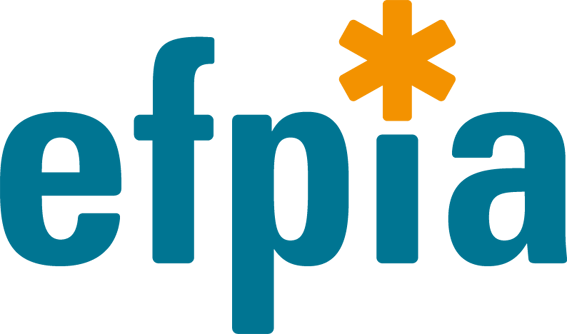 We’ve also brought a new parent cohort on board, the DAEM cohort, which we are hoping will bring us in more participants with mild cognitive impairment (MCI). Our biggest success over the last year has been using the velocity route to identify potential participants and invite them to join EPAD. We work directly with our clinical colleagues in our local memory services who refer people with MCI directly to EPAD. We have also been rolling out the Scottish Brain Health Register (SBHR) which received some set-up funding from the EPAD LCS Recruitment Task Force, a consent to consent research register, which allows people with concerns about their brain, or the public interested in brain health, to be connected to research opportunities in their local area. Follow us on Twitter to find out more @ScotBHR! SBHR allows us to offer EPAD to people who might not have been referred at their clinic visit. We also work with the national registers of Join Dementia Research and SHARE, and are hoping to start working with the Scottish Primary Care Research Network to offer EPAD to people with MCI who are registered with GP surgeries in our local area. We’ve seen these recruitment efforts help us move towards a cohort richer in people with a CDR 0.5 and we are now ambitious in our aims to significantly increase these efforts over 2019. Any country teleconferences/meetings you are organizing and how frequent? We are incredibly lucky to be part of a great network of sites in Scotland and frequently talk to our colleagues in the Tayside, Glasgow and Grampian TDCs. We join monthly calls chaired by Emma Law, Network Manager and EPAD National Coordinator, to share best practice and identify challenges across sites that can be tackled with a cross-site strategy. Examples of strategies that we’ve been able to introduce across sites because of this collaboration is the introduction of Join Dementia Research and SHARE as recruitment sources via Velocity. We also contribute to the planning of the annual Scottish sites conference in Aberdeen in August. The first of these was held in August 2018 and was a great success. Planning for August 2019 is well underway, with the meeting a perfect place to showcase site activity, network with our EPAD colleagues across Scotland and update our participants about EPADs latest findings. You can read more about the conference here. Any activities in terms of participant engagement? One of the highlights of running EPAD is definitely being involved with the Scottish participant panel. The panel formed soon after recruitment started in Edinburgh and as of September 2018 started a transition to a represent all of the Scottish TDC. At our next meeting in late March 2019 we will have representatives from all four Scottish sites and we’re excited to see what the next year brings. 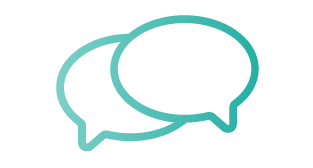 The panel work alongside us as EPADistas to provide feedback on the participant experience, review documents used in the study, help development of new recruitment and retention ideas and attend conferences and events to showcase EPAD. Our centre is particularly proud of our participant engagement work and each year we have a growing list of regular events we host or take part in to raise awareness of brain health. Events vary from lecture series, to concerts, to having a stall in local supermarkets. Regardless of the type of event we host we always get a fantastic response from the public. Find out more about what we do by following us on Twitter @CenDemPrevent. 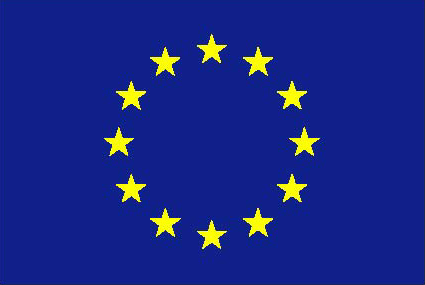 We currently have 21 sites across Europe enrolling. The EPAD LCS Cohort has now over 1,500 Research Participants screened! Congratulations to the TDC in Bristol, who recruited participant number 1,500. There was a total of 83 new research participants enrolled in the EPAD study in February. We are pleased that Pablo Martinez-Lage’s team in San Sebastian (Spain) and José Luis Molinuevo‘s team in Barcelona screened respectively 14 and 9 new research participants.